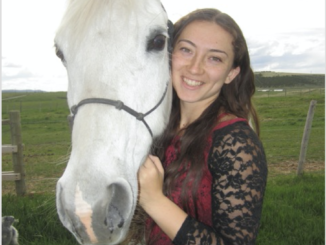 MEEKER | Nishiko Thelen of Meeker was named to Fort Lewis College’s Dean’s List for the fall 2018 semester. Thelen’s major is business administration. To be eligible for the Dean’s List, a student must carry a semester GPA of 3.6 or better in no fewer than 15 credit hours of graded college level work and have completed all work for which they are registered by the end of the semester. MEEKER I Lexie Meszaros, the daughter of Scott and Stacey Meszaros of Meeker, has been named to the Dean’s List in her first semester at the University of Louisiana—Monroe.